Davis Mechanical Corp is proud to serve the Halifax community! 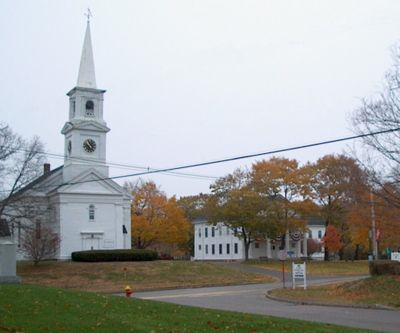 Located in Plymouth County, Massachusetts, Halifax is a town with approximately 7,500 residents. This town was first settled in the 1660s as an agricultural community, and cranberry production and sawmills were also popular in the area. Today, the town serves as a mostly residential community, although there is a small retail area that is growing in the center of town. Halifax residents have easy access to Boston via the Kingston-Rout 3 Line of the area commuter rail service, and there is a station located just west of Route 36. Although Halifax is a small community, there are a few notable places to visit here. The Country Club of Halifax offers 18 holes of championship golf, a pro shop, and Shanks restaurant, and it is a popular venue in the community for weddings. Nessralla Farm is another popular destination located in Halifax, featuring farm fresh foods, flowers, and beautiful plants for purchase. Additionally, visitors and residents alike who need to take a break and unwind might enjoy a visit to Just Fore You Day Spa or Teeka Lynne’s Salon & Day Spa. Whether you live in, work in, or are visiting Halifax, it is important to know what the weather will bring so that you can plan accordingly. July is the hottest month of the year, and high temperatures reach the low-80s on average. This region of the state is quite humid, so the muggy conditions can make it feel even warmer. Most residents will turn on their air conditioning units around this time of the year in order to keep indoor conditions comfortable. The autumn months tend to be mild, and residents can take advantage of this time by having their heat pump or furnace system serviced. This can help to ensure that when the cold winter weather moves into the area, residents are prepared with proper climate controls. January is the coldest month of the year, and while average daily highs reach the upper-30s, temperatures will fall into the teens overnight. Cold rain or even heavy snow accumulation are entirely possible throughout the season.